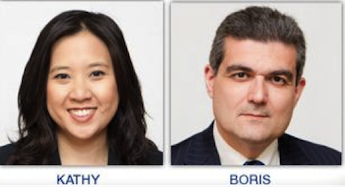 For those of you who are not familiar with us — we are Kathy Lien and Boris Schlossberg, currency experts who appear regularly on CNBC and offer daily views on the forex market for the global financial press. We are known in the forex community as Traders First Analysts Second because unlike market commentators who simply offer up their opinions, we risk our own capital in the market every single day. We follow forex like a hawk 18 hours a day and understand the day to day frustration and the exhilaration of day trading the world’s biggest financial market. Collectively, we have over 30 years of experience in trading everything from stocks to options to futures and FX. Although some analysts focus strictly on fundamentals while others only look at the charts, we believe that in order properly trade the forex market you need a fully informed 360 degree view of the action. At BKForex our edge is combining Fundamentals with Technicals and Sentiment to select the highest probability trading opportunities for you. We specialize in Positional Trades — Shorter Term Swing Trades that can last between 1-2 days that take advantage of the key stories and the major trends in the currency market. Trading currencies is hard and let’s face it -- you don’t have the time to follow every squiggle in price, every news release or every comment that can affect your trade. That’s why we developed an easy to use, highly refined approach to trading the forex market that allows you to participate in the major currency moves without being overwhelmed by the thousand little details of trading. 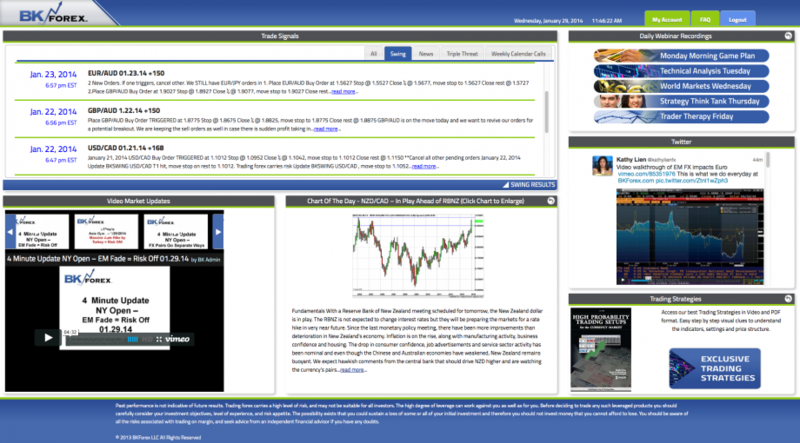 By acting as your eyes and ears on the market we help you select the most promising trading ideas.. But that’s not all. We’ve developed a system that allows you to preset your trades and then once they trigger, to comfortably manage them at your leisure. 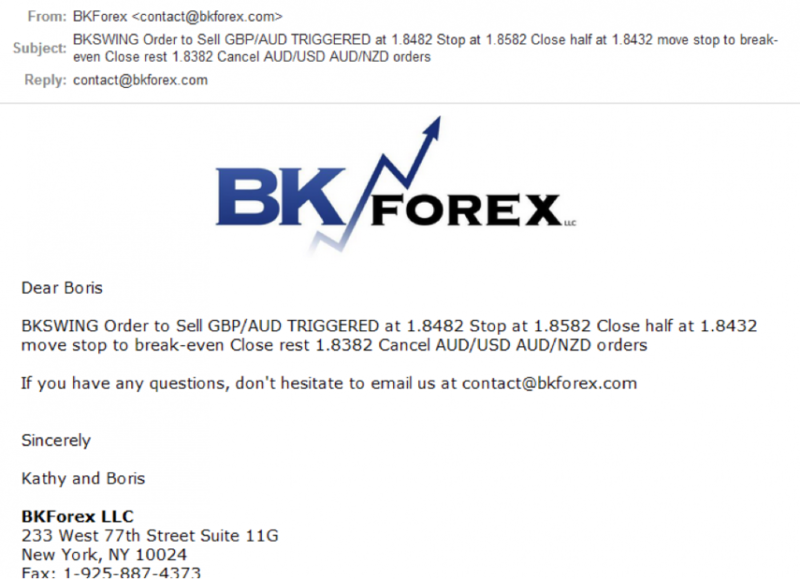 At BKForex we are always looking to improve our signal service for the Retail Trader and after 5 years and more than 4000+ pips of profit we have now refined our operation to make it even easier to execute our ideas. • Specific entries, exits and stops which are sent out via iPhone/Android APP, email and are posted on our private Trade Dashboard. All of our trade recommendations are sent as entry orders. This means that we are always trading away from the current market price (we try to sell below or buy above the present market conditions). This not only allows us to position ourselves in the direction of where the prices are moving, but also provides you with ample time to place your orders and go about your regular daily life, instead of being chained to the screen. Our signals go out more than 8 hours before the event, allowing our subscribers plenty of time to put the orders on their trading accounts. As the trade proceeds we update the progress through all the channels. Here is how it looks on our private Twitter feed. What Makes BK Trades So Effective? We know that you are busy and cannot be expected to react to the market on a minute by minute basis. That’s why every BK Trade recommendation provides you with plenty of time to enter your orders and then manage them once they are trigged in the market. Lastly with our battle tested two target profit taking strategy we ensure that we capture big pip movements when the market provides us the opportunity to do so. 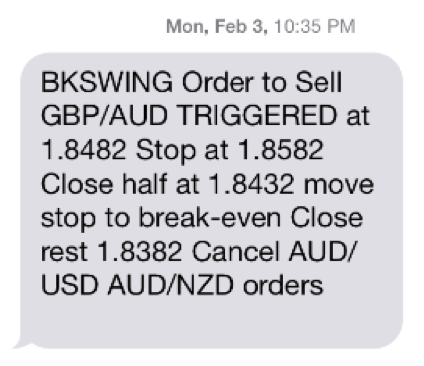 With BK SWING Trades we target a smaller initial profit (usually 50 pips) and if hit, we move the stop on the rest of the position to breakeven, allowing us to participate in the rest of the move risk free. 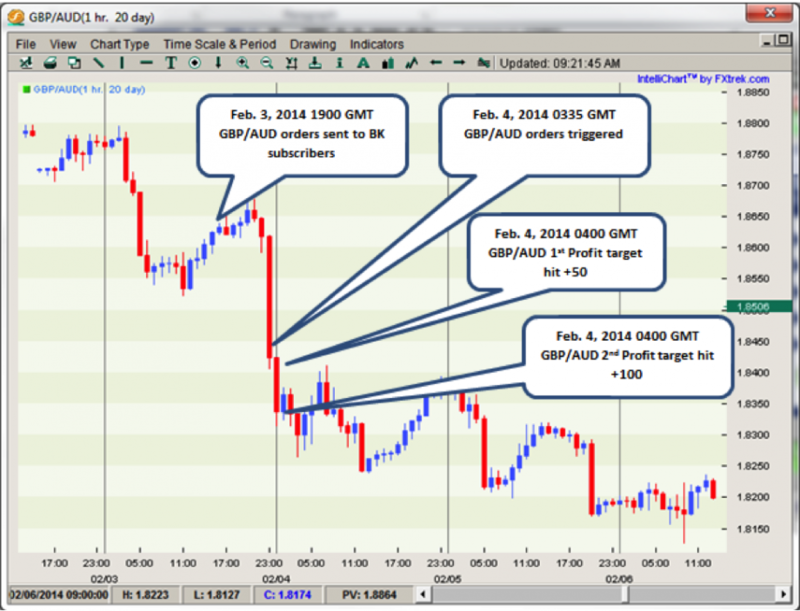 Then we target second half of our trade for +100 pip take profit and if hit we are able to capture 150 pips on our BK SWING trade. By using thorough research, proper market entry techniques and battle tested money management strategies BK SWING trades give you the edge to succeed as a retail forex trader.